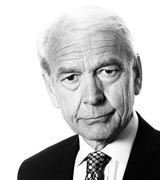 John Humphrys - Universal Credit: Should the Roll-out be Halted? October 10, 2018, 3:47 p.m. The government’s controversial welfare reform, universal credit, should be stopped in its tracks. That, at least, is the view of the former Labour prime minister, Gordon Brown. He warned in a speech this week that if the government persisted in extending the scheme next April, ‘a return to poll tax-style chaos in a summer of discontent lies ahead’. John McDonnell, the current Labour shadow chancellor, says the scheme should be scrapped altogether. Are they right? The new system aims to simplify welfare by integrating six benefits and tax credits into one payment, but anyone who’s ever had anything to do with the benefit system knows two things about it. It’s fiendishly complicated to navigate and the way it works tends, no doubt unintentionally, to create significant disincentives to anyone wanting to wean themselves off benefits and earn a living through work. For decades governments of all parties have sought to reform the system so that it would be easier for claimants to find their way around and make work pay. Labour, under Gordon Brown, first as chancellor and then as prime minister, tried to tackle the second issue by introducing a system of in-work benefits, called tax credits, intended, along with a new statutory minimum wage, to boost the incomes of low-paid workers while protecting the incentive to work. The effect was to reduce child poverty and keep unemployment rates below the level of many of our competitors. But it proved to be increasingly expensive to operate and was inevitably a target for savings when, after the financial crash, governments had to rein in their spending. When the Tories came back to power they sought to deal with the first of the old system’s problems: it was too complex. The idea was to introduce a new universal credit which would combine the tax credit system and other in-work benefits into a single and supposedly simpler benefit. Its author was the former Conservative leader, Iain Duncan Smith, who became the work and pensions secretary in the coalition government. The measure was brought in in 2011 with the intention of its being fully functional across the country by 2017. But problems plagued it from the start. Poor design, management incompetence and (inevitably) troubles with IT, caused repeated delays, both in the gradual roll-out across the country and in the target date for completion. That has had to be put back to 2023. No one is holding their breath. The problems that have affected recipients during the partial roll-out in specific areas have been legion. Online application is considered so complicated that it’s estimated only 38% of applicants succeed. A thirty-five day wait for the first payment (itself reduced from an initially-planned forty-two day delay) has forced the government to supply an increased number of hardship loans to tie people over. Applicants have found that what they receive has become unpredictable and is at the mercy of whether their wages are paid before or after the due date for the credit to be sent. The fact that the credit is paid in a lump sum once a month, unlike the previous benefits which were paid at different times in the month, has caused cash-flow problems for many. And the amalgamation into the credit of housing benefit, a benefit that used to be paid straight to landlords but now comes to the tenant, has led to rent arrears and evictions. But perhaps the biggest problem, at least according to its critics, is that the former chancellor, George Osborne, cut the money to be spent on universal credit. Gordon Brown claims that the combination of the cuts and the complexity of the application process has helped push an extra million children into poverty since 2015. What worries him most, however, is the likely effect of the proposed extension of the scheme next April. He said: ‘To impose universal credit – and to force three million to reapply for their benefits next year – when, on top of a child benefit freeze, the government is spending £3bn less, is chaotic, cruel and vindictive, far beyond austerity’. It is a scandal, he believes, that the safety net for the poor is no longer the social security system but charity in the form of food banks. And he reckons the number of children in poverty will reach five million by 2022. With around three quarters of the planned cuts in welfare benefits still in the pipeline it seems that the Tories too are worried about the implications of the policy they have introduced. It is reported that Esther McVey, the work and pensions secretary, warned her cabinet colleagues recently that the proposed roll-out would lead to half of all lone-parents and two-thirds of couples with children losing around £200 a month, a huge amount of money for low-income families. If Gordon Brown is right that the imposition of such hardship would cause the same sort of outrage that led to the poll tax being abandoned, then the government may feel it has either to do what he says, and postpone next April’s extension of the scheme, or find more money to mitigate the effects. But the Chancellor has many other demands on his tight budget and there is not likely to be much enthusiasm in the Conservative Party to spend what little money may be available on the benefits budget which many of its members think is too large already. The government is most unlikely to take his advice. In the first place it would amount to a massive loss of face but it would also mean abandoning an idea which many people agreed was good in theory. Torsten Bell, the director of the Resolution Foundation, an independent think tank, summarised the dilemma the government faces thus: ‘Rolling out universal credit is the government’s single biggest domestic policy challenge. Delivering it successfully would bring real improvements but was always going to be difficult, involving significant change for millions of benefit claimants. But it has been made much harder because of the major cuts to benefits that are taking place at the same time’. So what should the government do? Persist with the roll-out willy-nilly? Carry on but ease the difficulties by reversing some or all of the cuts? Halt the roll-out next April and buy time? Or scrap the whole idea?